John Gordon retired from The National Capital Bank (NCB) of Washington in December 2013, after 40 years. 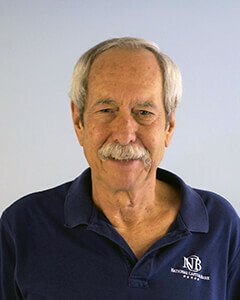 John’s deep knowledge of local community organizations and businesses makes him an asset to CHV. He also serves on the Board of Directors of the Baracks Row Main Street organization where he has been active in revitalizing and diversifying businesses across Capitol Hill. John is a veteran and attended Fullterton Collage. He is also an active grandfather to his three grandchildren who keep him fit and busy. Angela Beckham works as a financial advisor at National Capital Bank. She brings a knowledge of how to leverage and stretch personal savings and retirement income to help individuals realize their goals. She is a frequent presenter at CHV educational events. Angela has a long history of volunteer work. Angela also brings the perspective of adult children supporting aging parents. She lives on Capitol Hill with her husband, John, and three children. Angela has a BA in economics from University of Michigan and an MBA from NYU. to Angela Beckham, current Board treasurer. Rachel has lived on Capitol Hill for three years with her husband and two cats. In addition to banking, Rachel is an avid volunteer. She also volunteers with the Greater DC Diaper Bank, the Humane Rescue Alliance, Martha’s Table, and Capitol Hill Group Ministry. Rachel attended the Stetson University College of Law in Gulfport, Florida. After law school, she spent a year working in Melbourne, Australia, before moving to Washington. 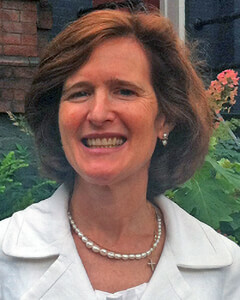 Ellen is a DC native and has experienced all varieties of services to and from Capitol Hill Village. She first encountered CHV and joined in 2013 when her (now late) wife Jane was sick and they benefitted from our social worker’s support. The experience demonstrated how valuable membership is before a crisis and led her to engage younger community members in CHV. 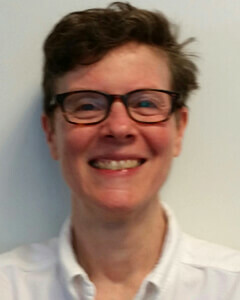 Ellen works at the Smithsonian Institution Archives as a reference archivist. She has a BA from St. John’s College, Annapolis. 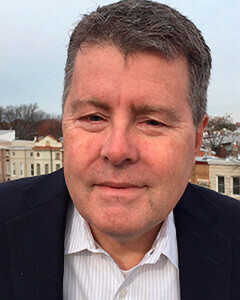 Bruce joined The Capitol Hill Village Board in 2018. He brings his dedication to hard work and commitment to mission, his well hued sense of fun, and a deep knowledge of Capitol Hill and Washington DC. 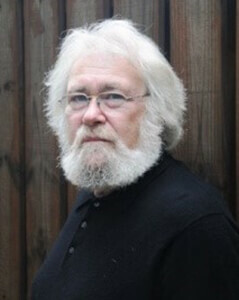 Bruce is a retired attorney from DC government with a specialty in real estate law and has served on the board of the Capitol Hill Arts Workshop and is a founding board member of the Theater Alliance. 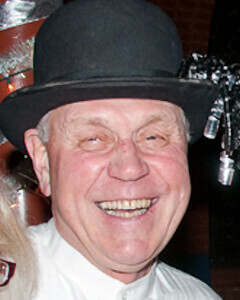 Bruce’s sense of fun is balanced with a strong knowledge of organizations, eye on the bottom line, and accountability. Bruce graduated from Middlebury College and Washington and Lee School of Law. 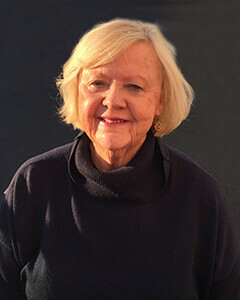 Elizabeth Cabot Nash works with Capitol Hill Village as a volunteer, helping to advance the organizations advocacy initiatives on issues such as long-term care, housing, and care giver workforce needs in the District of Columbia. During her 18 year tenure with UnitedHealth Group and in executive level positions, Elizabeth led efforts related to new business development and implementation, policy, government relations, compliance, operations and other strategic initiatives. 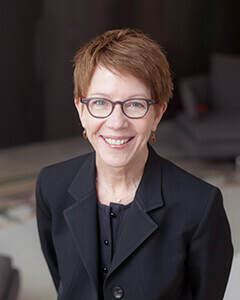 She has expertise on Medicaid, Children Health and family health insurance programs and most recently, led advocacy and implementation of public health exchanges for UnitedHealthcare’s commercial division.Elizabeth has a Bachelor of Arts degree from the University of Wisconsin-Madison and lives in Washington, DC with her husband and two children. Tama’s career has focused on raising awareness of the impact that design has on health. A Principal at Gensler, a global architecture, design and planning consultancy, she leads the firms Health & Wellness practice. She is a frequent columnist, lecturer and spokesperson on designing healthy experiences and has received more than 60 awards and honors. For three consecutive years Tama was named one of the “Most Influential People in Healthcare Design” by Healthcare Design magazine. Tama’s undergraduate degree is from North Dakota State University and a Masters from Marymount University. Jeff has a depth of experience and leadership in health insurance practices, which is an essential expertise for CHV. He is the retired General Counsel at the DC Health Benefit Exchange and served as senior vice president of state affairs for America’s Health Insurance Plans (AHIP). Following the passage of the Affordable Care Act in 2010, he coordinated AHIP’s implementation efforts at both the federal and state levels. He also worked for the insurance industry and as the Deputy Commissioner of Insurance for the State of Utah. Jeff has supported a range of DC based organizations including STRIVEDC and the Human Rights Campaign’s Business Council. He completed his undergraduate and law degrees from the University of Utah. Linda has lived and worked in New York, Virginia, California, New Mexico, Korea and now has settled on Capitol Hill. As a recent transplant to Washington, she brings a valuable perspective and voice to the organization. 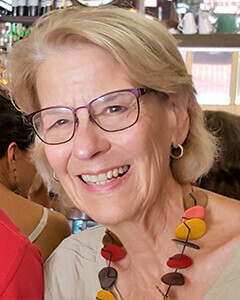 Linda has been a small business owner where she has produced large corporate events, owned Bed and Breakfasts and more. She is also a member of Les Dames D’Escoffier, the prestigious organization of women in the food industry. Linda has an undergraduate degree from Radford University. 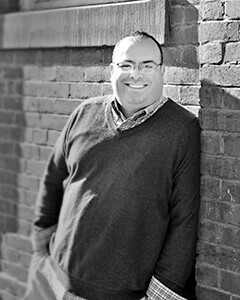 Mike Hash brings a knowledge of health care and insurance issues to the organization. He served as the Director of the Office of Health Reform at the Department of Health and Human Services. Mike also served as the Deputy Director of the White House Office of Health reform helping to coordinate the Administration's legislative and implementation efforts related to the Affordable Care Act. Prior to his federal appointment, Mike was a principal in a health consulting firm specializing in health policy and financing issues for a wide array of provider, consumer, foundation, and corporate clients. Mike is a graduate of Washington and Lee University, with post-graduate studies in political science at Vanderbilt University. 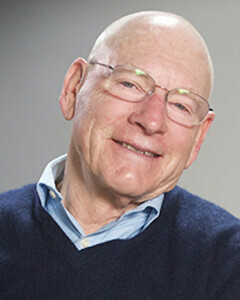 He has held teaching positions at the Johns Hopkins University and Georgetown University. He is married to Buck Waller. Mike brings a love of community service and a military efficiency to CHV. He is an excellent logistician, able to turn any project into a set of tasks with people matched to complete them. Mike chairs the Governance Committee and is co-leading CHV’s emergency response planning efforts. Mike and his wife Ann are 10th Anniversary CHV Honorees. Mike graduated from the Coast Guard Academy and spent 27 years in the Coast Guard. He earned a law degree from George Washington University. Candace is the person who created the Village to Village Network and has a depth of knowledge about Villages and a range of community-based services for seniors to live independently. She is Director of Strategy for Aging in Community at Capital Impact Partners and assists all sectors in developing long-term options for older adults and individuals with disabilities. She is Secretary of the National Family Caregiver Association and holds a B.S. from Indiana University and a Master’s from Southern New Hampshire University. 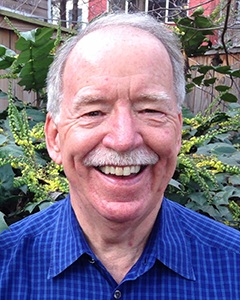 Rick brings an expertise in organizational management that is benefitting CHV’s operations and strategic planning. Rick has trained and mentored developing consultants and made formal presentations to a broad spectrum of professional and industry groups. He has authored numerous articles covering topics such as Conflict Management, Decision-Making, Organization Systems and Design, Strategic Plan development and execution and Experiential Education Design and Facilitation. Today, Rick is Boeing’s Senior Organization Effectiveness consultant. Rick holds an MS from American University. 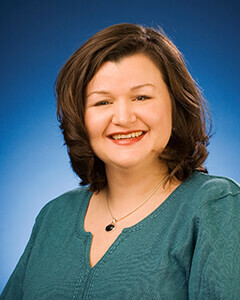 Susan brings a career of expertise in project management and engagement to the CHV board which serves her well. She is chair of the Advocacy Committee, leader of CHV’s Advocacy Corp, and leader of the informal team that manages the vetted vendors process. Sedgewick has distinguished herself as an intrepid community member, with her truck “Priscilla”. She has actively supported The Capitol Hill Group Ministry, where she was awarded the 2011 Ruth Rappaport Wisdom award and is active at St. Mark’s Episcopal Church. Susan has a BA and MS from The University of Oregon. Regular Meetings of the Capitol Hill Village Board are held the 2nd Tuesday of odd months at the National Capital Bank Board room from 4-6 pm. CHV members and the community may observe meetings. Community members should let the President of the Board or the Executive Director know if they plan to attend because the bank is closed at that time so security needs to be alerted of guests.